One of the most inspirational parts of being in the wedding industry (besides the love stories we get to be a teeny-tiny part of) is witnessing how creative and innovative people can be. While I love a good church wedding, I love a uniquely designed ceremony space even more. 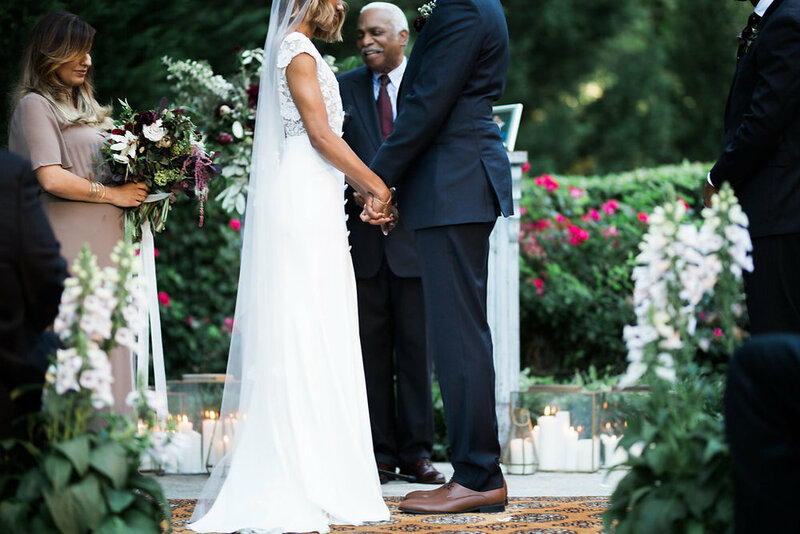 In the age of Pinterest, brides are rightfully searching for ways to make their big day stand apart. We feel you! As much as I love Pinterest (and let's be real, I LOVE Pinterest), it's easy to get scatterbrained, confused, and just straight overwhelmed. With so many ideas out there, it's difficult to keep yourself from second guessing every little choice. We're here to help! Chippy Blue Mantel. Rugs. Candles. Vintage Seating. Tip #1: Think about the atmosphere you want to create. These lovebirds wanted a relaxed setting. They wanted their guests to be comfortable. That desire led to a stunning living room inspired set-up. Pollyanna Richter and Lindsay Coletta Designs really nailed Sherita's vision with our mantel and lounge pieces. Screen Door Arbor. Floral Beauty. Stunning Mountainside. Tip #2: Think about your venue. Sure, you should be creative. But depending on your venue, there are certain considerations that need to be made. Katie chose an absolutely STUNNING venue for her wedding (Pippin Hill). 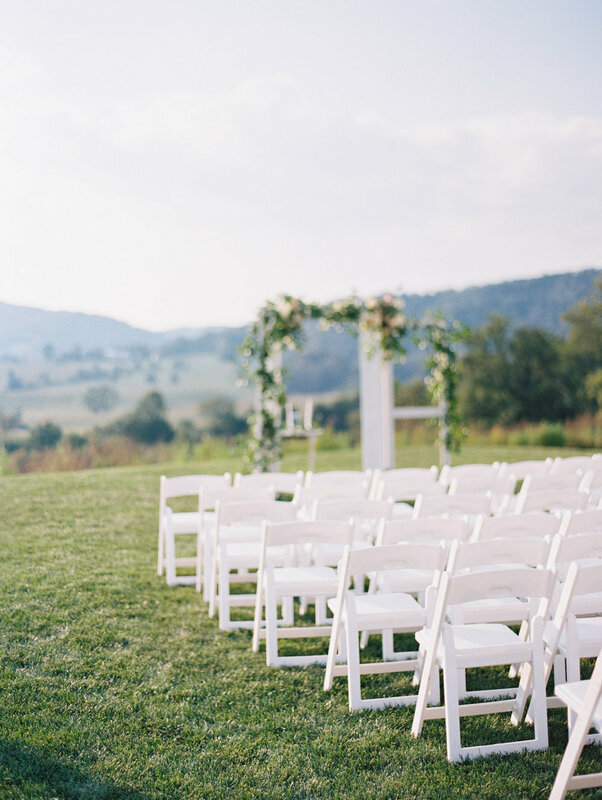 She wanted a ceremony focal piece that somehow didn't block the breath-taking view of the mountains. Enter - our screen door arbor. This seriously could not have been implemented more beautifully by Jacin Fitzgerald. Tip #3: Trust the pros to do their thing. If you've reached a mental block, or have to change plans because of an unexpected event, let the experts take the wheel. We had to change plans at the VERY last minute (another story, for another blog post - stay tuned for that!). 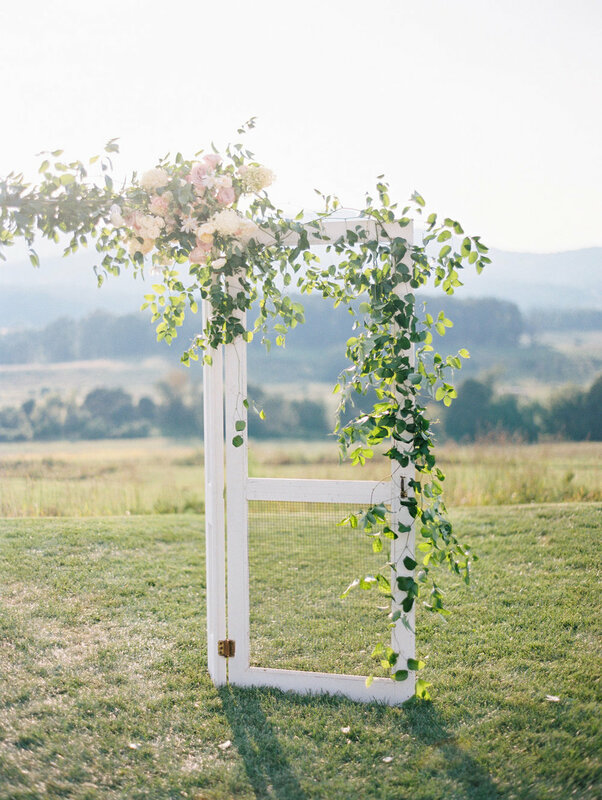 Jamie McPherson of J. Elliott Style, LeaAnn of Southern Flair Events, and Jennifer of Virtu took what they had (wrought iron arbor), what we had (rag strip backdrop), and threw this beauty together in no time. It may have been more complicated than that behind the scenes, but they didn't let me know that... which, as a bride, was fantastic! Lanterns. Hanging Leis. Ribbons. Pecan Tree. Tip #5: Use conventional items in unconventional ways. Gertie Mae's knocked this out of the park! She used conventional items (flower petals) in and unconventional way (hanging leis). 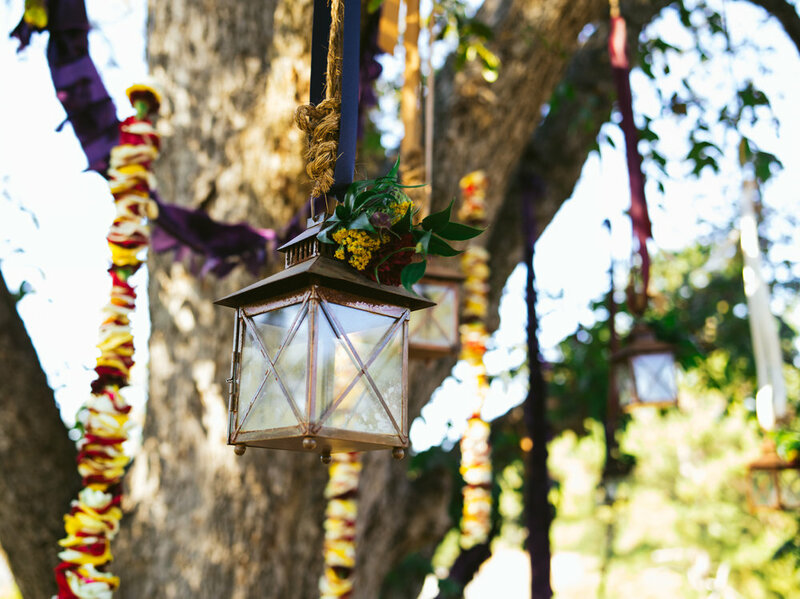 The leis and lanterns added to the already existing beauty of Vinewood's ceremony tree. Lanterns. Rugs. Cherry Blossom Tree. If you're looking to stretch your budget, this tip is especially for you. Tip #6: Think about items you can flip. 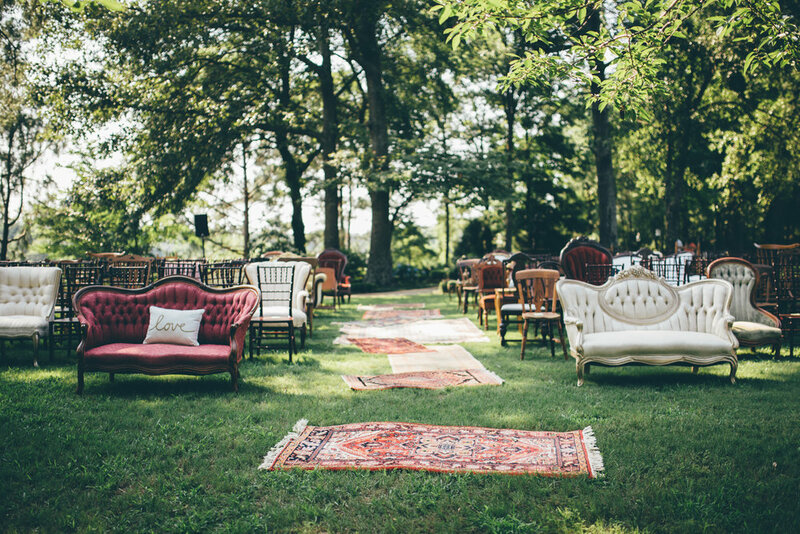 Jes reused furniture, rugs, and decor from her boho ceremony to create lounge areas throughout her reception space at Tryphena's Garden. She got a lot of bang for her buck! AND it was beautiful. Draping. Greenery and Floral Garland. Tip #7: Don't be afraid to ask your vendors questions. In most cases, your venue has done this before. 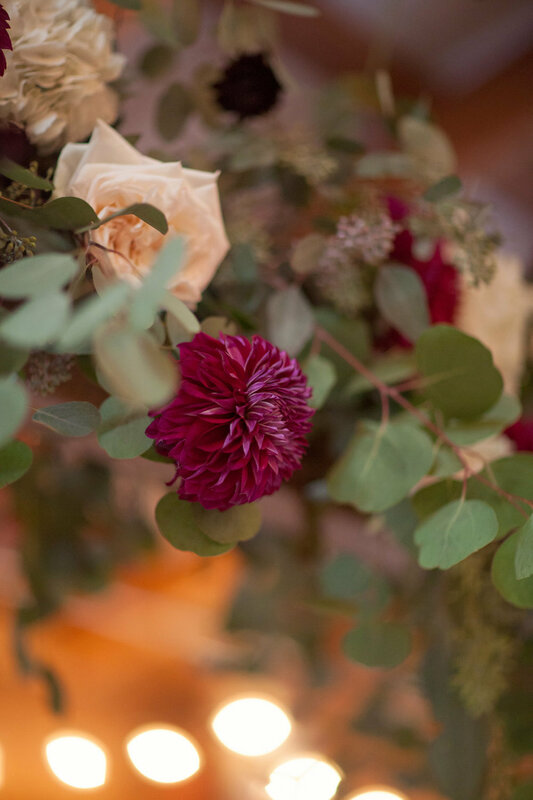 Your designer, planner, venue owner, and florist (like the talented Gertie Mae who designed these garlands) have learned from their many experiences. Rental companies (yes, even us) know what looks good. Ask questions. Trust their answers. Then reconcile their answers with your vision (or let your planner do that). 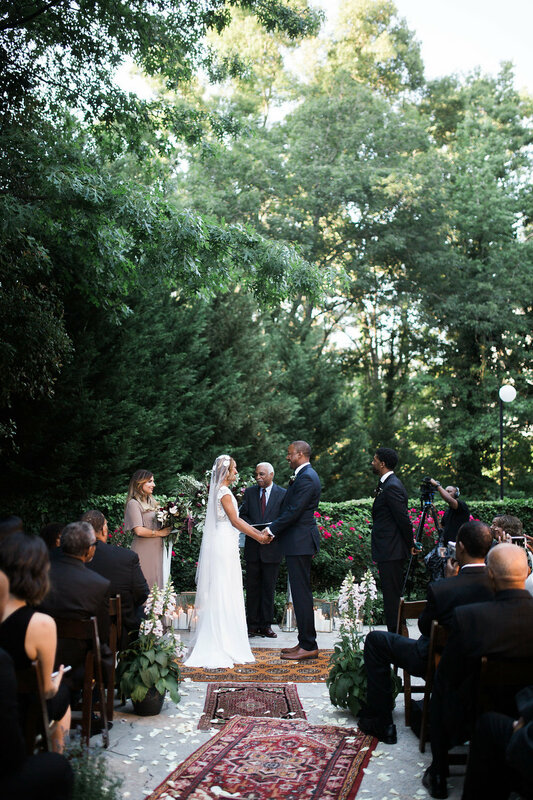 Final Ceremony Space Planning Tip: Once you've decided on something (i.e. ceremony design), STOP looking at ceremony designs on Pinterest. Don't torture yourself! Most of these brides used our large accent pieces to create their ceremony space. We included a few that didn't for the sake of variety. Contact us today to design your unique ceremony setup! All these setups required the collaboration of several talented vendors, but we would be glad to start a conversation about where to begin! 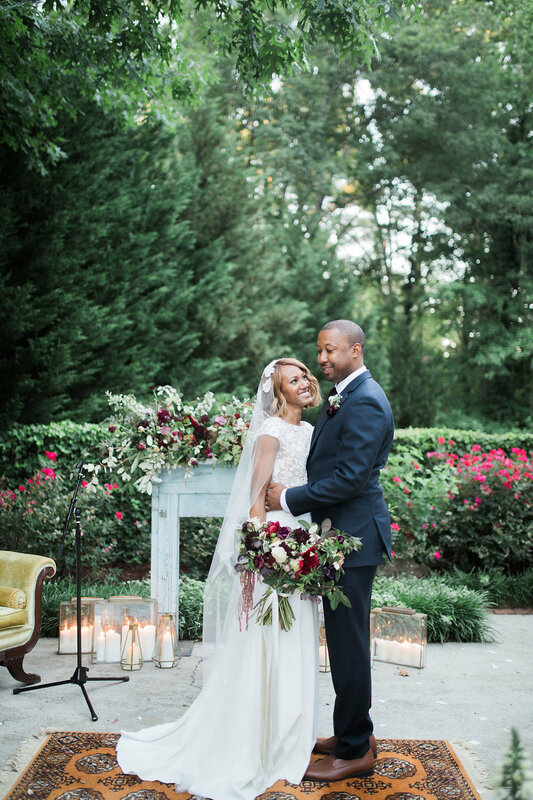 These stunning brides were a joy to work with and I'm SO GRATEFUL they shared these incredible photos with us. The photographers for each wedding are listed below - give them a visit, they're pretty awesome.